Hello everyone, i am back with another post. Today i am reviewing another local brand i.e. Go Natural. 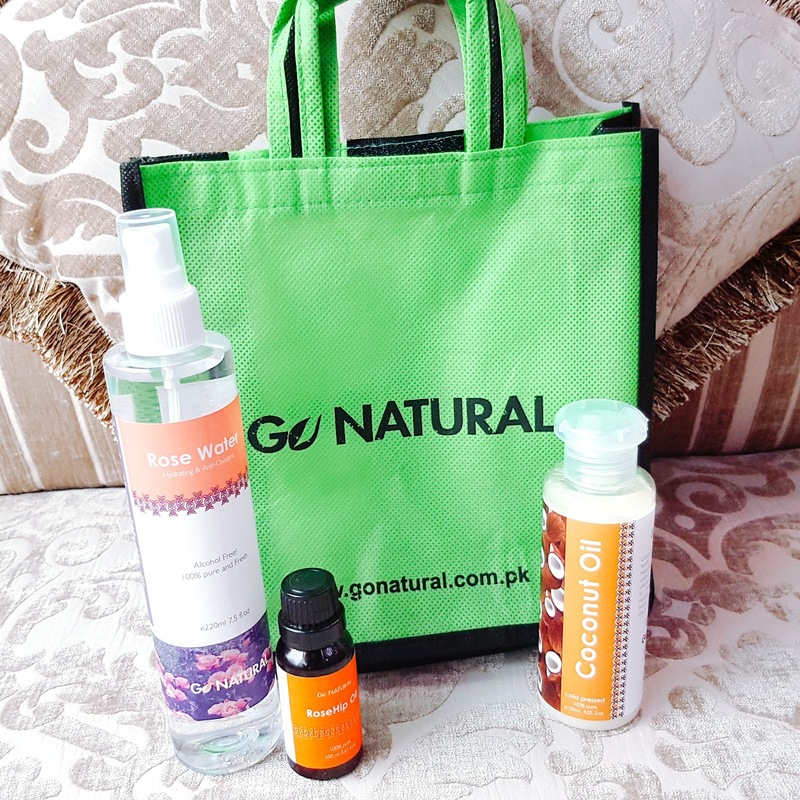 Go Natural aims to provide its customers with authentic natural oils and products for aromatherapy, skin and body care. A few weeks back I received a cardboard box which had Go Natural logo and information on it. I was expecting that the products would be laid inside the box directly. To my surprise, the box had a cute little tote bag inside which had all the products inside it. The way Go Natural team has really put an effort into their brand is really impressive. 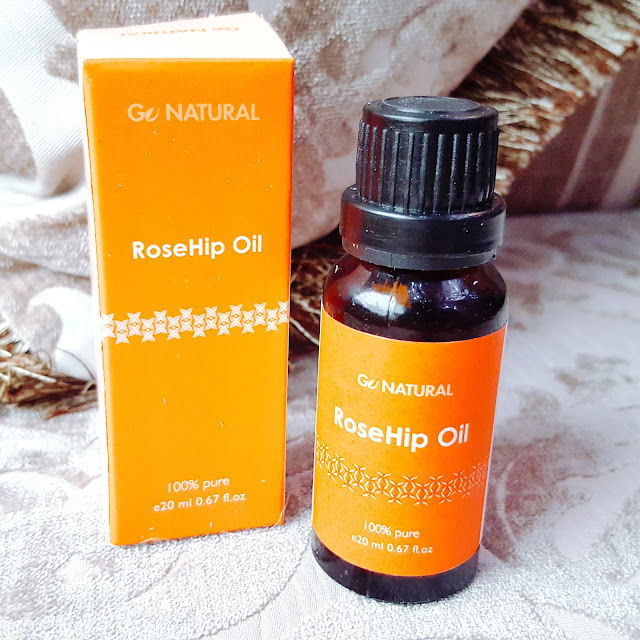 When i received this rose water bottle from Go Natural, i was genuinely very happy as i use rose water daily. The fact that this rose water by Go Natural is Alcohol free is the reason i love this rose water. 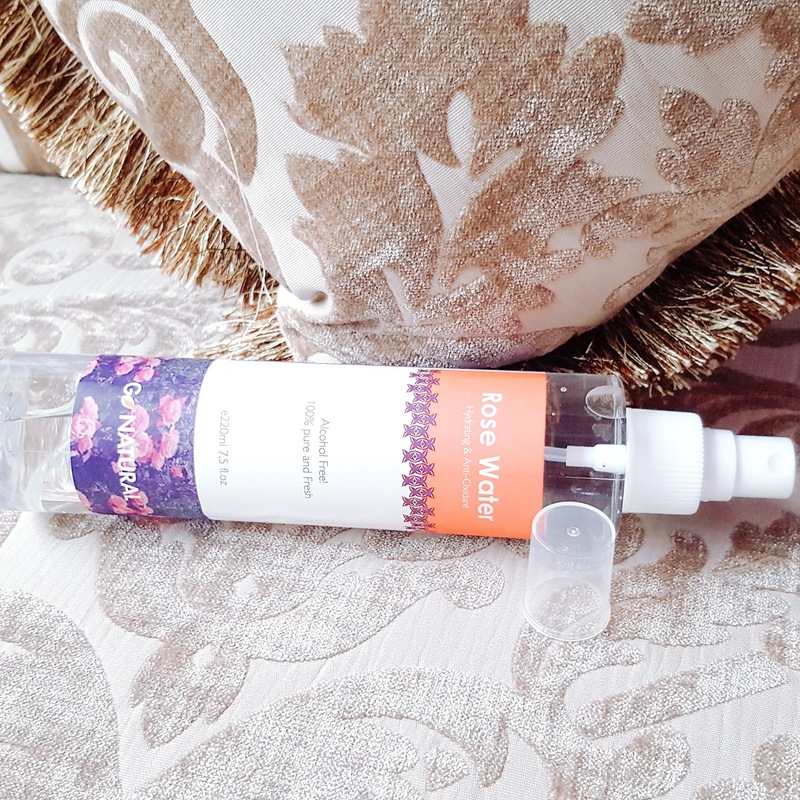 Rose water can help with acne and dry skin which is why I use this rose water everyday before applying my foundation or sometimes before i go to bed as well. 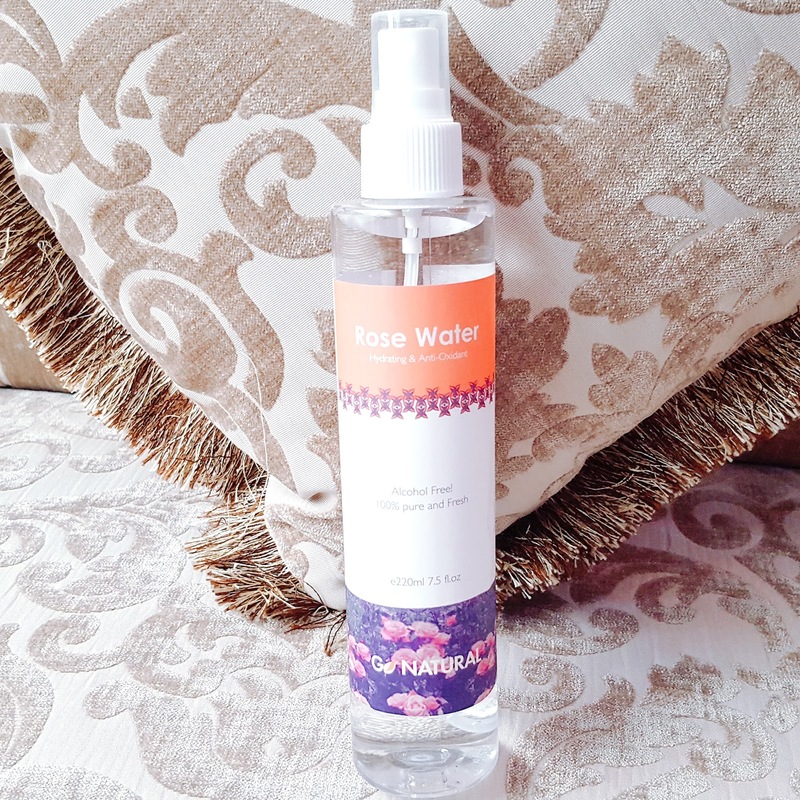 I really like how this rose water comes in a spray bottle as it makes the application very easy. I keep this bottle in refrigerator so that it is cold when i apply it on my face. Applying cold rose water helps skin unclog pores. You can buy this rose water bottle from HERE for just 340 PKR. 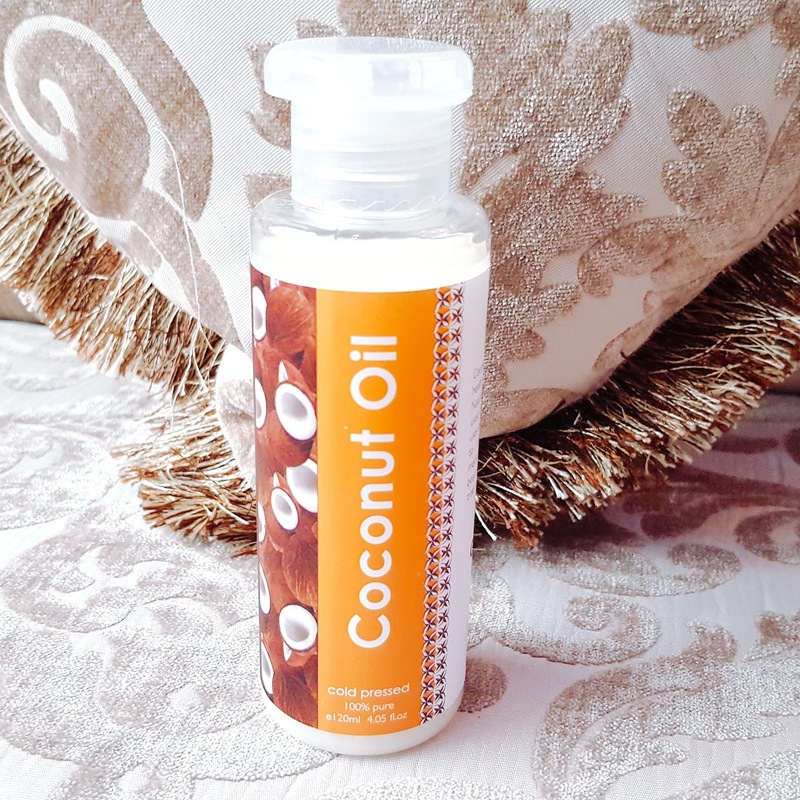 So the second product i am going to talk about is this coconut oil by Go Natural. There is no-one in the world who doesn't have coconut oil in their house. So being a user of coconut oil i was super happy that i got more of this oil to use. 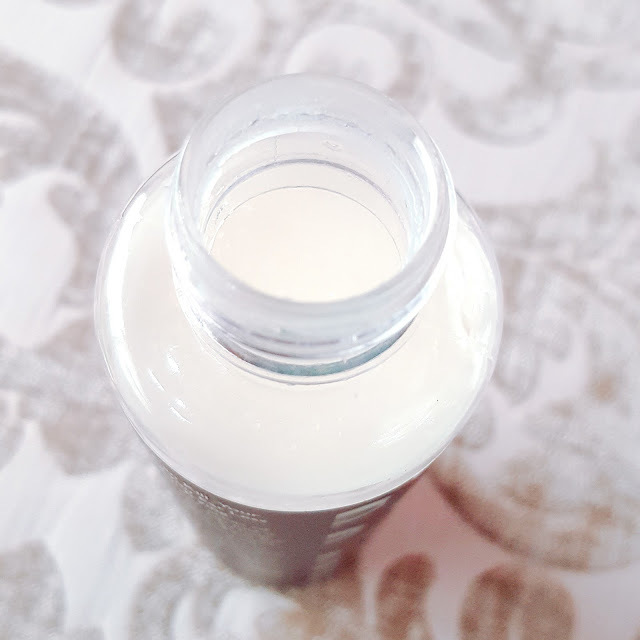 The first thing i noticed about this coconut oil is that it smells completely different from the one i use, it is strong but fades away pretty quickly. The second thing i noticed is the packaging. As coconut oil becomes solid in cold temperature, i thought i would never be able to get the coconut oil out as i can't heat a plastic bottle. To my surprise it came out pretty easily through the small opening by squeezing the bottle. You can also put the plastic bottle in the warm water to loosen up the oil. Anyways, i am enjoying this oil a lot, after every shower i use it on my face as a moisturizer and I also apply it on the lengths of my hair while they are still wet as a leave-in conditioner. You can buy this oil HERE for just 160 PKR. Recommendation: It would be great if this coconut oil is in a tin can or plastic jar so that it can be easily heated or scooped out. As you all might already know that i have very dry skin (i know i talk about my skin in almost every single post =p), i have started using organic oils on my face. I love watching youtube so i have seen many videos explaining how RoseHip essential oil can basically change someone's skin but i always thought they say this about almost every product so it might not be true. 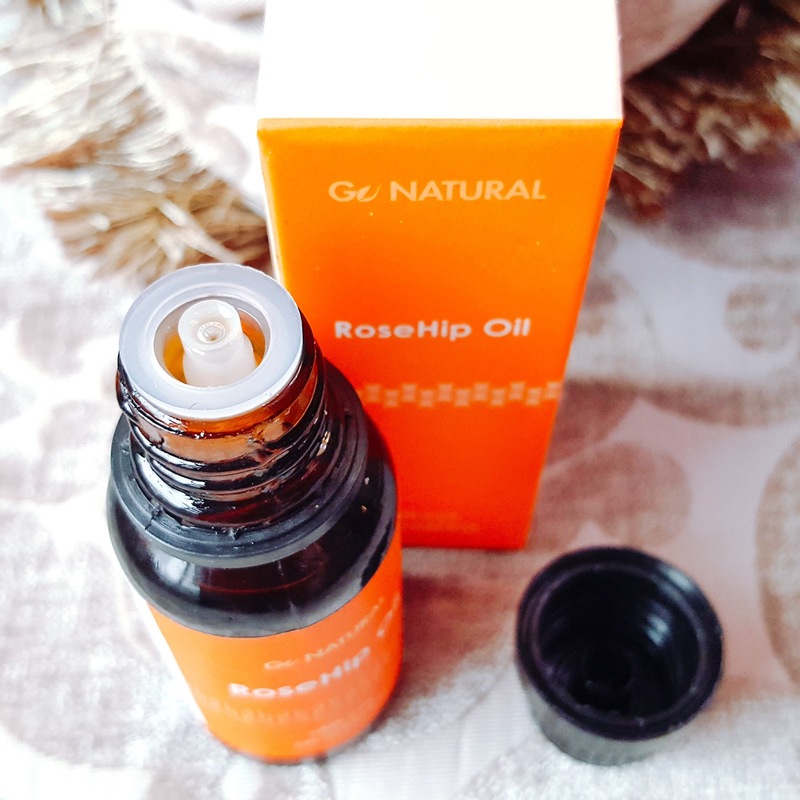 So when i received this RoseHip Oil in my package i was excited to try it myself because of the many benefits it offers. Among many benefits, it helps improve dry or sun-burned skin as well. I have been applying this oil every night on my face before sleeping and i am noticing a huge difference in my skin. My acne marks are slowly fading away which is shocking as my acne marks are so stubborn that they take years to fade away. 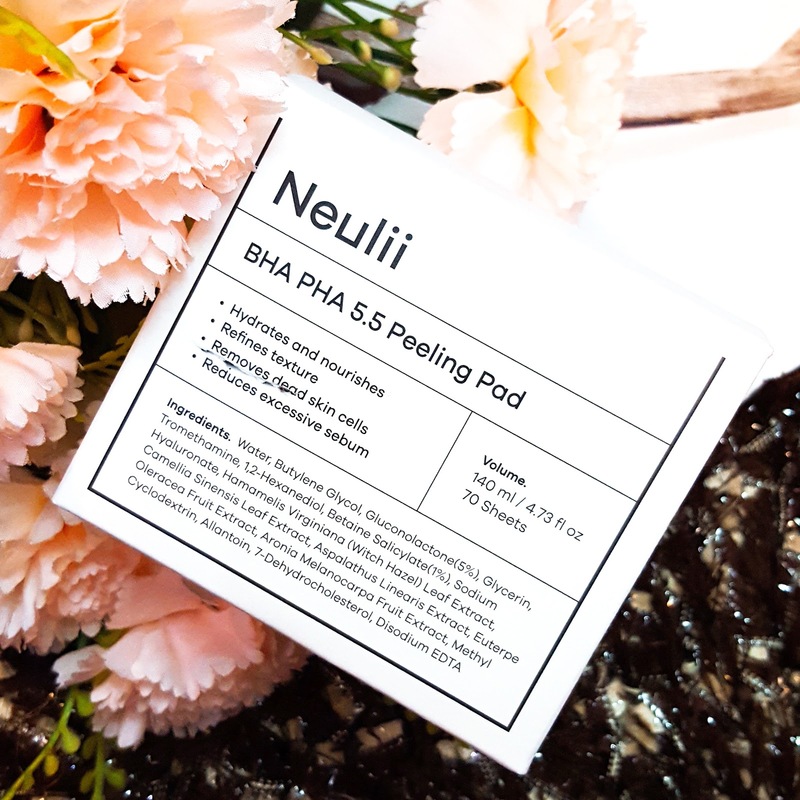 It is also hydrating my skin making it feel soft and smooth. Since i have been applying this oil at night, my skin feels amazing in the morning, it actually glows. 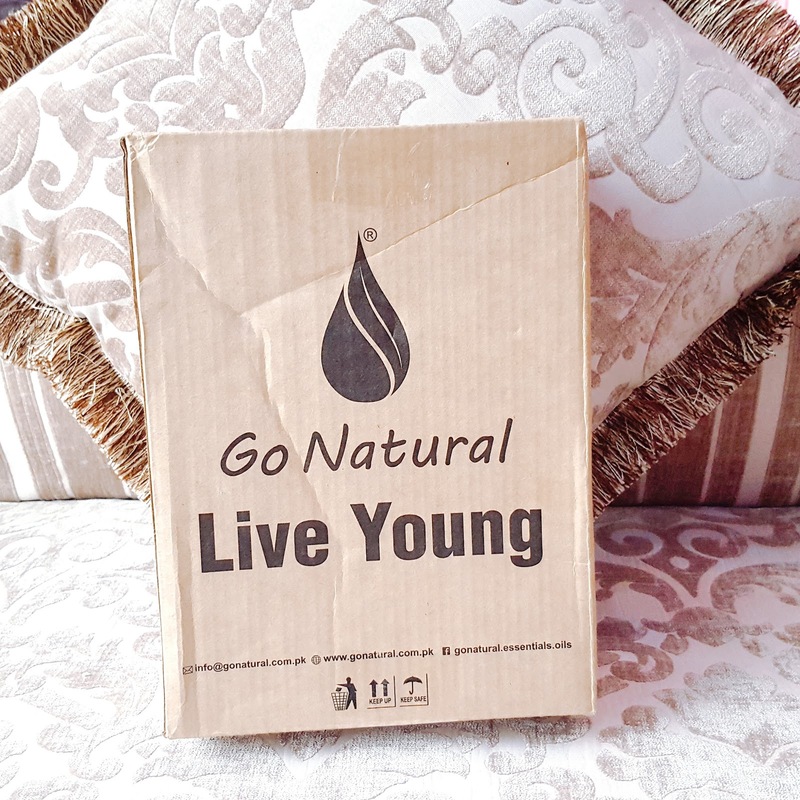 I am so happy and thankful to the Go Natural team for introducing me to this miracle oil. I would recommend everyone to use this oil but please test it on your hands before using it on your face as some people are allergic to essential oils. 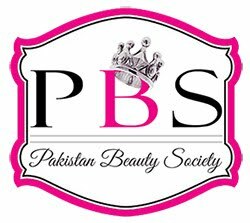 You can buy this oil from HERE for 490 PKR. 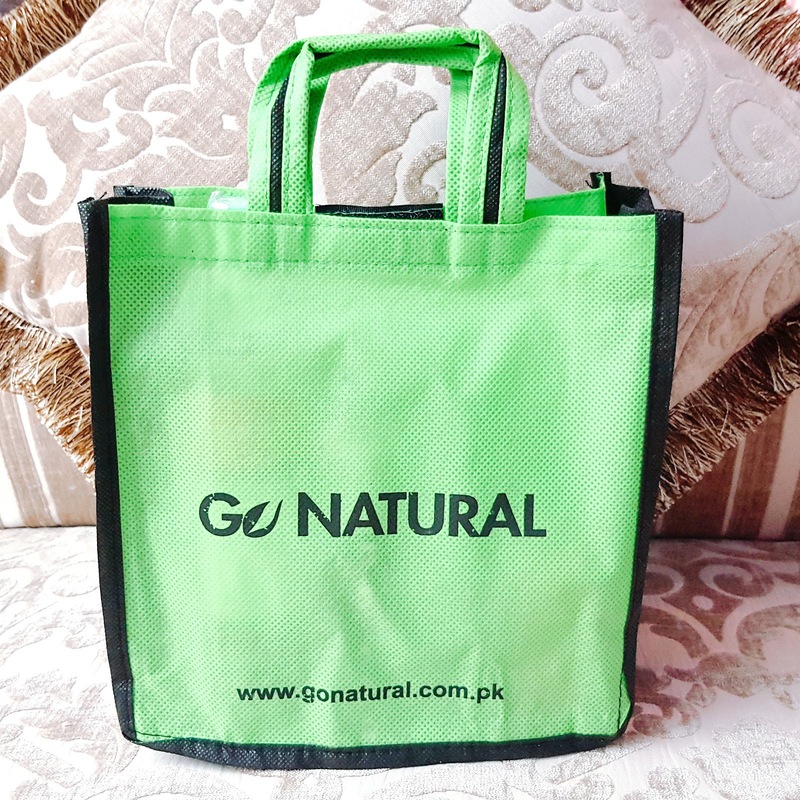 This is all for today, for more information or to place order please visit HERE or find them on their social media accounts HERE & HERE. Very informative blog post & beautifully captured clicks. 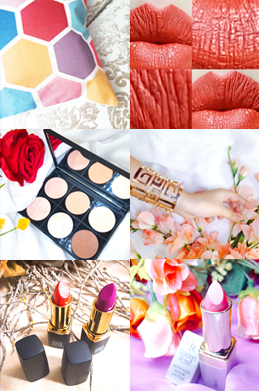 Thank you for sharing with us :) Have a lovely day!